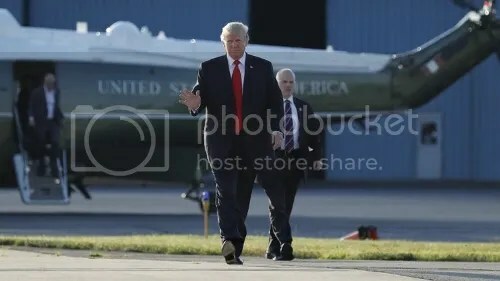 President Trump walking to board Air Force One this past week. (Carolyn Caster/AP). On Tuesday July 3rd, North Korea took a significant step toward becoming a global threat. By successfully launching an Intercontinental Ballistic Missile (ICBM), the country now has the ability to strike the state of Alaska. North Korea’s leader Kim Jong-un faces only one additional task: fitting a nuclear warhead onto an ICBM capable of reaching the west coast of the United States. 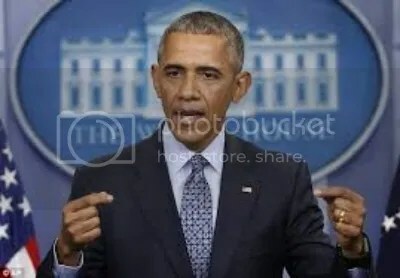 President Obama was not immune to North Korea’s unsavory behavior either, using a host of preventative measures, from negotiations to sanctions, to stop the country’s nuclear program. In fact, during the transition period, President Obama informed then President-Elect Trump that North Korea posed the largest challenge to his incoming administration. Kim Jong-un celebrating North Korea’s successful launch of an ICBM. (KCNA, via Reuters). Clearly, Kim Jong-un recognizes President Trump’s limited options to address North Korea’s missile system, and effectively uses geopolitics to further his nuclear ambitions. President Trump’s most palatable avenue of recourse would be continued sanctions. As mentioned before, the US has tried to contain North Korea’s nuclear program, including United Nations and unilateral sanctions. However, Kim Jong-un’s numerous missile tests show he is not deterred by economic penalties or diplomatic threats. Additionally, President Trump could order military exercises with South Korea and increase American presence in the Korean Peninsula. However, this response fails to address the missiles already inside North Korea, and amounts to additional ineffective saber-rattling. The most perilous option is military intervention. In the case of a North Korean strike, President Trump could respond with a counter-attack from the air and on the ground. Also, the US could strike preemptively, destroying Kim Jong-un’s missile systems, and temporarily resolve the crisis. However, there are several issues with an armed response. First, any sign of a US attack would prompt Kim Jong-un to immediately strike South Korea and other neighboring countries, likely with artillery and possibly nuclear arms. President Obama speaking on cybersecurity at the White House. (DailyMail.com). There is also a humanitarian risk to armed intervention. While a US invasion would quickly topple Kim Jong-un’s regime, it would certainly lead to a refugee crisis, with North Koreans flooding into South Korea for safety. With President Trump’s options limited, and North Korea’s belligerence expanding, a new avenue of response must be explored. To prevent armed confrontation, one that Defense Secretary James Mattis said would result in “the worst kind of fighting in most people’s lifetimes”, President Trump must continue use of President Obama’s cyber weapons program to weaken North Korea’s arms before military action is required. In the event of a US invasion, cyber weapons should be used to disable North Korea’s missile systems to prevent a counterattack. Also, a compromised North Korean military network could ease the intensity of an invasion- allowing troops to temporarily stabilize the country while Kim Jong-un is deposed- and alleviate a potential refugee crisis. A Prussian army general once said “No battleplan ever survives first contact with the enemy.”  This is especially true for one penned by a civilian blogger. However, the Trump administration would be remiss to holster one of the 21st century’s most potent weapons: cyberwar. Even more, President Trump oversees a country with the brightest minds in technology, and he would do well to harness their talent to combat what is likely the gravest threat in the world today: a nuclear North Korea. CNN. (2017). North Korea Nuclear Timeline Fast Facts. Retrieved from http://www.cnn.com/2013/10/29/world/asia/north-korea-nuclear-timeline—fast-facts/index.html. Gearan, A., Rauhala, E. (2017). North Korea Missile Launch Marks a Direct Challenge to Trump Administration. The Washington Post. 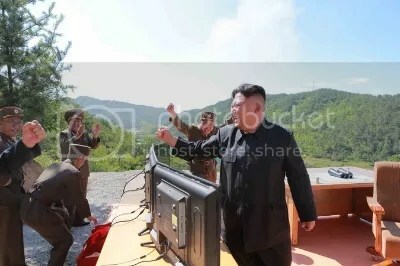 Retrieved from https://www.washingtonpost.com/national/north-korea-claims-successful-intercontinental-ballistic-missile-test-defying-international-condemnation/2017/07/04/4f804488-609c-11e7-8adc-fea80e32bf47_story.html?utm_term=.c2bc8e16965c. Sanger, D. (2017). What Can Trump Do About North Korea? His Options are Few and Risky. The New York Times. Retrieved from https://www.nytimes.com/2017/07/04/us/politics/trump-north-korea-missile-icbm.html?hp&action=click&pgtype=Homepage&clickSource=story-heading&module=first-column-region&region=top-news&WT.nav=top-news. Sanger, D., Broad, W. (2017). Trump Inherits a Secret Cyberwar Against North Korea. The New York Times. Retrieved from https://www.nytimes.com/2017/03/04/world/asia/north-korea-missile-program-sabotage.html. The Economist. (2011). The First Casualty. Retrieved from http://www.economist.com/node/18712682.